Photography is the biggest selling point here - with the P20 equipped with a powerful dual-lens camera while the P20 pro ups the ante by incorporating the world's first triple lens smartphone camera. More specifically, it touts a Leica-developed camera configuration is comprised of a 40MP RGB sensor, a 20MP monochrome sensor and an 8MP sensor with telephoto lens. "With f/1.8, f/1.6 and f/2.4 wide aperture to capture crisp, clear details, the HUAWEI P20 Pro also includes a brand new Leica 3x telephoto (VARIO-SUMMILUX-H 1:1.6-2.4/27-80ASPH) lens for long-range photography of up to 5x Hybrid Zoom." As a result, Huawei say the P20 Pro’s highly sensitive image sensor captures low light photos with up to ISO 102400. The regular P20 doesn't look to be a sloucher either, featuring a Leica dual-lens camera featuring a 12MP lens with a pixel size as high as 1.55 μm, and a 20MP monochrome lens, enhancing the HUAWEI P20’s ability to capture photos in low-light settings. Both models also support 6-axis stabilisation and the same 960fps super slow motion found in the Galaxy S9 and Sony's Xperia range. 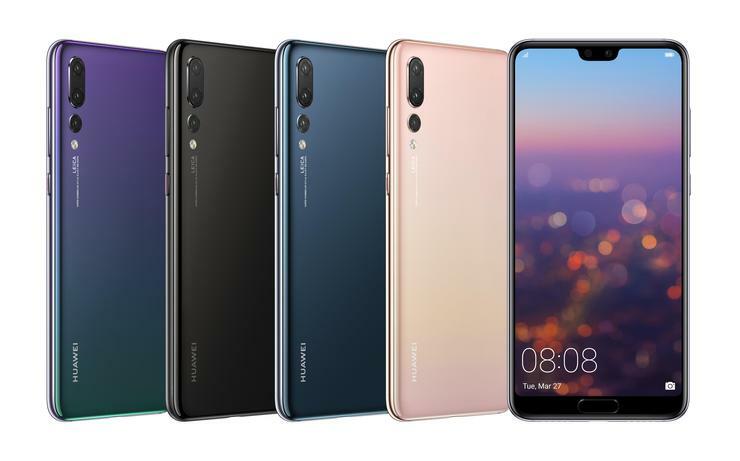 In terms of specs, both the P20 and Pro model run on Huawei's Kirin 970 CPU. The 5.8-inch P20 boasts 4GB of RAM, the 6.1-inch Pro ups that to 6GB. The Pro also features a larger 4000mAh battery compared to the regular P20's 3400mAh. Both run on Android 8.1 filtered via Huawei's EMUI skin and support Google's ARCore kit. Neither model supports wireless charging. They do also feature a prominent iPhone X-inspired notch. However, Huawei have built a toggle into the settings menu of the phone that'll allow you to make it a little more inconspicuous. No word yet on exact Australian pricing or availability.